It's being called: "The Event." Prophecies from all around the world. Some of it has happened before; it will happen again... BUT, this time will be the last. Foreword: I update this page from time to time with new relevant information There is quite a lot of information below. I spent a lifetime (50 years) amassing this information from cultures all around the world. And I'm still amassing information. Last updated: 12/20/2018. Apollyon is the personification of Destruction, because guess what Apollyon means--It means "Destroyer". What is the so-called "Rapture" really ? Then, why do ministers of the gospel preach it? Do you merely have to "Believe in Jesus" and be "Born again" in order to be saved from the Tribulation? Will the tribulation really last for 7 years??? Wouldn't you like to be a preppa, too? Are you a prepper already? Short prepper section already exists. 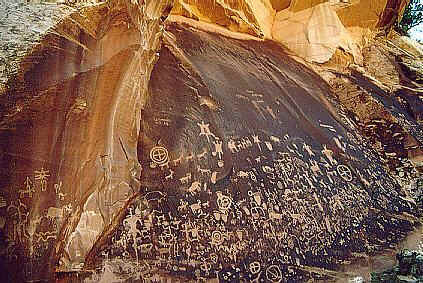 "Newspaper Rock," Utah, USA; And "Abaddon," "Red Dragon"
Proof that the SUN does get angry! The black is clearly a scorching from the sun many thousands of years back. Major Ed Dames (remote viewer) claims that the sun will send a Coronal Mass Ejection (CME) that will burn the surface of the Earth. Clearly, it has happened before, such as at "Newspaper Rock," Utah. "Abaddon," "Apollyon," "Atai Ulaan," "The Red Dragon"
A second sun (star) is in our solar system and it is heading this way from the South. If you "blow up" the image above, you will see four or five planets revolving around the star. I took the photo on April 14th, 2018. This is the same object. The photo is zoomed in a bit. 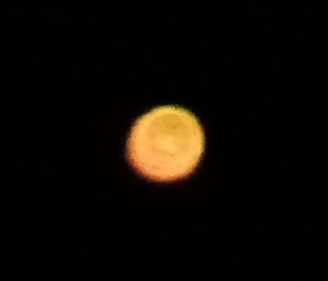 It now appears as a bright-orange star in the Southern sky at night (to the naked eye). I took the photo on July 5th, 2018. 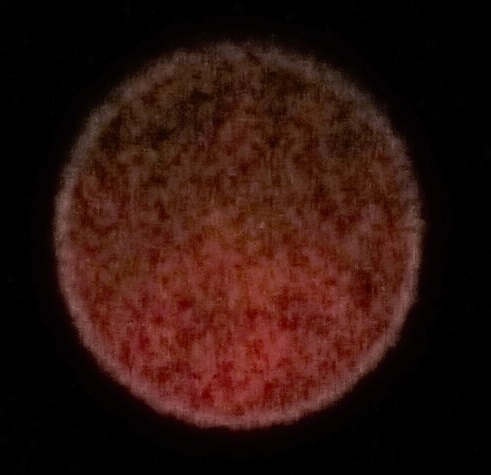 "Abaddon," "Apollyon," "Atai Ulaan," "The Red Dragon"
This is what it looked like when I zoomed in all the way. Same object, same day: July 5th, 2018. Photo was taken by me, Leon, minutes after the one to the left. The Bible prophesies that the sun will get hotter, it will scorch men, and kill 1/3rd of all plants. Men will hide in the rocks to escape the anger of the sun. The book of Revelation (9:11) mentions Apollyon (Apollo, a kind of SOLAR deity) who will rise out of the bottomless pit (i.e., the darkness of space) sending little locusts (i.e., rays of ultraviolet light) which will have the power to "sting" men for 5 months. Could that be Coronal Mass Ejections from Solar Flares? There are many such rocks as the one pictured above all over Utah. And the Great Basin of Nevada and Eastern Utah, used to be a great inland sea that is all dried up now, except for a small remnant called Salt Lake, near Salt Lake City, Utah. How did it dry up? Sun got HOT! (or there was a great earthquake that opened up the Bryce Canyon, Glen Canyon, and Grand Canyon and all the water ran out towards the sea. (Take your pick). Could they be one in the same? I think so! (RE: Red Dragon = Red Star, That's my speculation, based upon evidence herein below). The "Characters"
Father Esege Malan (meaning unknown to this author). My guess is "The First Animator," because "Mal" means "animal," and he was the Creator. The White Tenger = "The White Heavens"
The Black Tenger = "The Black Heavens"
Note: Atai Ulaan is the King of the Black Tenger. Note1: "Tenger" can mean both "heaven" (sky) and "heavenly body" (or collectively the "hosts of heaven"). [It's an ambiguous term]. (Source: Me; I studied the Mongolian language for five years in Mongolia). Note2: Khor-Masta ruled the West. Atai Ulaan ruled the East. Note3: Walther Heissig thinks that Khor-Masta is the Mongolian word for Ahura Mazda (the Zoroastrian god of Light). (Source). When I first read Sarangerel's translation of the Buryat-Mongolian version of the Gesar Epic (which goes into greater detail than the Tibetan one), I just thought that it was a myth. I now believe that it is a record of something that really happened! Only the gods in the Epic are merely personifications of real celestial bodies. Right now I am seeing the White Sun in the West, and the Red(Reddish) Star in the southern night sky. Get your binoculars out and see for yourself. (2018). 1. Zebedee, John. "I John 1:5." The Holy Bible. 95 A.D.
2. Woodwell, D. "Introducing the Planetary Angels." Donna Philisophica. Publisher: Donna Woodwell. Date of Article: 2016. Format: Web. Accessed in 2018. 4. Noah. "Book of Noah." Sacred Texts. 1. Odigon, Sarangerel. "Epic of King Gesar." Buryat Mongol. Sponsor or Affiliate: Mongolian Shaman's Association. Format: Web. Date: 2018. *I am so grateful to you, Sarangerel, for your work in translating the Buryat-Mongolian version of the Epic of King Gesar. That must have taken a long time and much effort. Also, I laud you for publishing it free of charge on the internet for all to see. 2. Leon. I, Leon, also used a Mongolian-English dictionary for some translations of some words. I also used my own knowledge of the Mongolian language. 3. Turner, Kevin. "The Many Lives of Mongolian Shamans." Reality Sandwich. Date posted: 2017. Format: Web. Date accessed: 2018. *The idea of the "White" Tenger versus the "Black" Tenger came from Kevin Turner. Thanks, Kevin! There was a WAR between Michael (Sun) and the Red Dragon (Red Star). [Revelation 12:7] And that war is not over. Get ready for round six. There was a WAR between Khormasta (Sun) and Atai Ulaan (Red Star). [According to the Buryat-Mongolian version of the Epic of King Gesar, Khormasta and Atai Ulaan circled the Earth 4 times before this event. The event recounted below is the 5th time.]. [Compare Mother Shipton's prophecy below; she says we're due for the sixth time soon]. Michael (Sun) took 2/3rds of the hosts of heaven (sky). 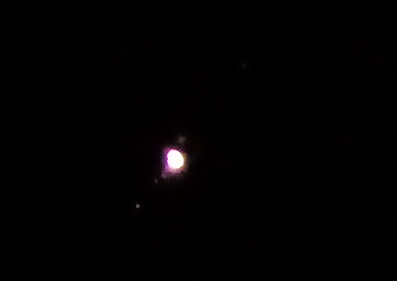 - took three of the nine heavenly bodies (3 planets) Khormasta (Sun) took 55/99ths of the hosts of heaven (sky). Atai Ulaan (Red Star) took 44/99ths of the hosts of heaven (sky). Michael (Sun) and his angels defeated the Red Dragon (Red Star). Khormasta (Sun) and his soldiers defeated Atai Ulaan (Red Star). There were ten plagues of Mongolia as a result of the WAR in HEAVEN between the White Tenger and the Black Tenger. The 6th Time Red Dragon comes. Note: This has already been coming to pass. Khormasta chopped off Atai Ulaan's head, which became the Demon-Dragon "Arkhan". Khormasta chopped off Atai Ulaan's chest, which fell to Earth and became the Demon Mangadhai Abarga Tsetsen. Khormasta chopped off Atai Ulaan's belly, which became the demon Loir Hara Lobsogoldoi. It made things spoilt and black. This is a natural occurrence after things die (and Revelation tells us that at least one third of the Earth will die, and in some cases there will be extinctions). C. - disease for animals and people This also is a natural occurrence after lots of things die, but also combine that with the Earth heating up because the sun is heating up and the Earth is losing her magnetic field. Bacteria grow a lot faster when things are hot (up to 160 degrees). We currently have a "flesh-eating" bacteria on this planet, which doctors are having a hard time battling. Plants were polluted (and died). Source: The King James Version of The Bible Source: King James Version of The Bible Source: Odigon, S. 2018. Source: King James Version of the Bible. Oh! I'm not done yet. To learn more, just keep scrolling. Read from Exodus 10:21-22: "And the LORD said unto Moses, Stretch out thine hand toward heaven, that there may be darkness over the land of Egypt, even darkness which may be felt. And Moses stretched forth his hand toward heaven; and there was a thick darkness in all the land of Egypt three days." The Kolbrin Bible is alleged to be an Egyptian text, or of Egyptian origin at least, which prophecies of the DESTROYER, a large celestial body that comes near to the Earth every 3600 years, reeking havoc on our planet. The last time it came was during the 10 plagues of Moses. I don't know. All I know is that the Bible speaks of a RED DRAGON that will spew water upon the earth, as in a great flood. "And there appeared another wonder in heaven; and behold a great red dragon, having seven heads and ten horns, and seven crowns upon his heads. And the serpent cast out of his mouth water as a flood after the woman, that he might cause her to be carried away of the flood. And the earth helped the woman, and the earth opened her mouth, and swallowed up the flood which the dragon cast out of his mouth." [compare the Dresden codex of Mayan Prophecy (below) where there is a picture of a huge serpent spewing out water upon the earth in the last days]. "Quatrain 2.46 After great human misery a greater approaches, The great motor of the centuries renewed: Rain, blood, milk, famine, weapon, and pestilence, In the sky fire seen, dragging long sparks." The Hopi (a tribe of American Aborigines) of the current United States of America have a series of prophecies of what will happen prior to what they call the "Purification Period". All have been fulfilled, except the red star prophecy. First the blue star (twins) will come by our planet (i.e., will been seen in the heavens). Then, a red star (called by the HOPI: "The Purifier"), and cleanse the earth of those who refuse to live righteously, in harmony with nature. Allegedly, after the blue star shows up, we have 7 years to get ready for the purification by the red star. [Annotations needed here]. 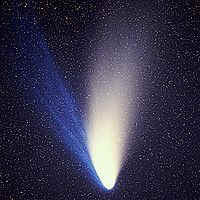 Comet Hale-Bopp [You can see how it can be associated with twins]. Is this the fulfillment of the Blue Star of the Hopi Prophecy? "When the Purifier comes we will see him first as a small Red Star which will come very close and sit in our heavens watching us. Watching us to see how well we have remembered the sacred teachings." Source: No Author mentioned. "Blue Star Prophecy of the Hopi." Spiritual Medicine. Manataka American Indian Council. 2018. The Mayan calendar ends 2012 (give or take a year). It is a 5126-year, cyclical calendar and at the end of the calendar, it is prophesied that great calamity befalls earth causing the destruction of most life on earth. Only a few will survive. And how does this calamity come? From a serpent or dragon that spews water upon the earth. 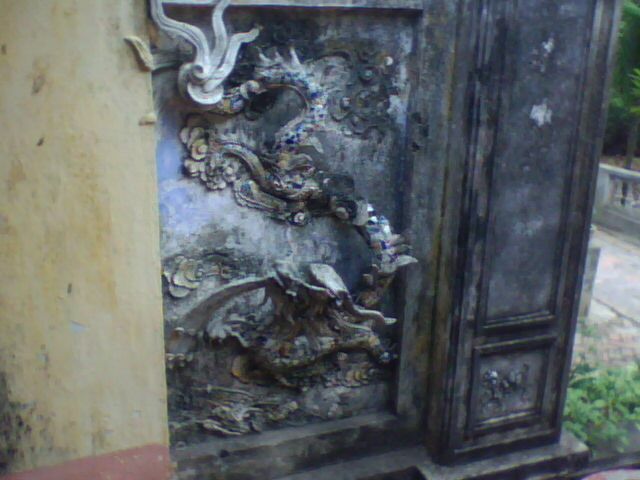 While in Vietnam, I must have passed a hidden temple 108 times before I realized that inside the gate, there actually was a temple. It was not displayed on any map of the city. There were no signs or symbols that would indicate that it was a Buddhist temple. There was just a brick wall surrounding the grounds, with an ordinary gate. Being the curious fellow that I am, one day, I decided to see what was inside the gate. Lo and behold, it was a temple! I went in and explored the grounds, and what I discovered there was the most amazing thing! I took a picture (2009). Look! DO YOU SEE THAT! Is that not the most amazing thing? A star is at the tail of the dragon, and water is spewing out of his mouth. DO YOU THINK That maybe the ancients are trying to tell us something? That is a prophecy in stone. I wanted to ask somebody, "Do you know what this means?" but, I didn't speak Vietnamese. I was so excited to find that prophecy. No where else in Vietnam did I see this prophecy, though I looked at every temple I could find. Mother Shipton was a prophetess, a seer. Her prophecy is a dire prophecy, which is very similar with Major Ed Dames' (AKA: "Dr. Doom's) prophecy. She saw a fiery dragon in the sky which causes the destruction of Earth, save a few survivors. [Note: Major Ed Dames is a remote viewer who saw the Earth being "attacked" by a Solar Flare and Coronal Mass Ejection (CME) headed straight for Earth]. drenched in blood shall die. The Rapture is NOT going to save you!!!! Skip this; Go to Prepper Section. (1) What is the so-called "Rapture" event? (3) What does the Bible actually say on the subject? (4) Where does the "Rapture" doctrine come from? (5) When will the "Rapture" happen? Will it be a pre-trib rapture, a mid-trib rapture, or a post-trib rapture? (6) What is the so-called "Tribulation" ("Trib" for short)? (8) Where does the so-called "Tribulation" doctrine come from? (9) What is the very last and final prophecy? What is the last thing to happen? (Hint: Jesus coming back is NOT the last thing mentioned in the Bible). (10) When was the Second Coming of Jesus? When will the Third Coming be? Many so-called "Christians" believe that they don't need to worry about the coming "tribulations" because they will be "raptured" out beforehand (And, that's the word they use, "rapture" for an anticipated event, which isn't even in the Bible). So, what exactly does the Bible teach us? Well, let's take a look at that, shall we? And then, ask yourself, "Is my preacher teaching me what is actually in the Bible, or is he teaching stuff he has been taught in seminary, which isn't Biblical? But, why would Christians think (or assume) that Jesus' return would be before the so-called "7-year tribulation" ? I'm not sure. The so-called "7-year tribulation" is also not Biblical. Read on to learn more. (2) Secondly, when did the "Second Coming" happen? Well, the end of the world didn't come, did it? and that generation has already passed away, hasn't it? Wouldn't that make Jesus a false prophet if he hadn't come already? Yes, it would! But, everything he said, came to pass. You see, Matthew 24 was fulfilled by 132 A.D. That would mean that the infant who was alive at the time of Jesus' prophecy would be exactly 100 years old at the time the prophecy was completely fulfilled. Sounds about right. The so-called "End of the World" (that Jesus referred to) was not for everyone, but for the Jewish people. In 132 A.D. the Jewish people were driven from their land and forbidden to return. (Wikipedia, "Jewish diaspora"). So, Jesus' prophecy was completely fulfilled by 132 A.D. It was the "end of the world" for the Jewish nation. However, that doesn't prevent people from ignoring Jesus' prophecy that that generation would not all pass away before his prophecy would come to pass. People still are looking for Jesus to come back. And not altogether wrongly, but we'll get to that later. For now, let's address the topic of his second coming. According to Acts, chapter 1, Jesus came back after his death and tarried with the Saints for 40 days. Then, he ascended into the sky and it was told by two mysterious men dressed in white that Jesus would return a third time, coming from the sky (descending from the sky just as he had ascended). So, people should stop looking for the Second Coming and be looking for the Third Coming! But, I get carried away. Well, I admit that Matthew 24 does sound like it might be the end of the world for the world, but readers beware! "Taken" means: "Taken to the 'other side' via the process of DEATH! When the "Lord doth come" is referring to Jesus coming to collect your spirit and take it back to paradise. "For in an hour ye think not the Son of man cometh," means: You don't know when you are going to die. You see? The so-called "Second Coming" of Jesus is a personal thing, not a world-wide collective event. Now, as for the Third Coming, Well, that's a different story. And it is perhaps the most interesting of them all, don't you agree? Let's get into that, shall we? If we understand that Jesus' prophecy has already been fulfilled, we have only Paul's letter to the Thessalonians, where we read about the "catching away" to meet the Lord in the clouds. My interpretation of that is that many people will die, and the good ones will be "caught up" to meet the Lord in the sky in their spirit form. Also, if you listen to some of the so-called "Rapture" dreams that some people are having, their descriptions of those being "raptured" where consistent of spirits/ghosts exiting the planet and drifting upward. Why? because in the dreams, those who were being "raptured" were translucent. I heard one dream (on YouTube) where there was a lady who was crying out to the Lord, asking why she hadn't been "raptured" before the "tribulation". That (and other things) lead me to believe that there will be many such Christians wondering why they hadn't been 'raptured". The answer is, of course, because she hadn't died yet! When will the rapture happen? It happens to all good people when they die. The so-called rapture is on-going. Answer: Even if you don't know what the tribulation is (which is discussed in the next section) you should still be able to answer that question correctly: The answer is d, because it is an on-going thing. The so-called "Day of the Lord," "Judgment Day," "End of Days," "End of times," etc. is referring to when you die, and it is different for nearly everyone. What is the so-called "Tribulation"? In Matthew 24, Jesus talks about a "tribulation" that the saints would endure (and they did). [Already fulfilled]. In Revelation, John considers himself being a victim of the "tribulation". [Hence, already fulfilled]. Revelation 7:14 speaks of a 'Great Tribulation', but there is no time nor duration given. This is where most people get the doctrine of the tribulation. But, no where in the Bible is there a time given for the so-called 'Great Tribulation'. So, people are looking for a 7-year period of tribulation that they think hasn't happened yet, but that's just not Biblical. In Revelation 11:3 it says that God's two witnesses (and we have no idea what that is referring to) shall prophesy 1260 days (3 and 1/2 years). [I try to speculate on what or who the two witnesses are below, because I love to speculate; but I can't seem to figure it out]. In Revelation 12:6 is says that the woman (and we have no idea who she is) shall hide in the wilderness 1260 days (3 and 1/2 years). If I had to guess, I'd say that 'the woman' is referring to god-loving people. All throughout the Bible, God refers to His people as a woman. When they are good, they are referred to as the 'faithful wife'; and, when they are bad, they are referred to as a 'harlot'. My guess is that it will get bad for God-loving people, and they will have to hide out in the wilderness. You add those up and you get approximately 7 years. So, some people get it in their heads that all that apocalyptic stuff in the book of Revelation will take 7 years. But, that is just not so. Bad stuff will happen before, during and after that. And how do we know that BOTH of the 3 and 1/2 year periods don't coincide? They could be the same 3 and 1/2 years! We just don't know. Conclusion: From my research, the so-called 7-year tribulation does not appear to be Biblical. However, that doesn't mean that there isn't some really terrible stuff coming. Oh, no! In fact, we're to expect some really bad stuff to happen. I think that the WHOLE book of REVELATION is the TRIBULATION. (And it will take a lot more than seven years to come to fruition). See below. The Book of Revelation & The Third Coming. I consider the book of Revelation to be inspired (and if you don't, well, then skip this section). I believe it has accurate (albeit at times figurative) descriptions of what is yet to come (or has already been fulfilled). However, the book of Revelation does not mention anything akin to a "rapture" type event. So, I will not discuss that in this section. The book of Revelation appears to be different than the others, because most of the things written therein have NOT come to pass yet (BUT SOME ARE HAPPENING NOW!!!!!). Take for example: every living thing in the sea dying (happening), one third of the trees dying (happening), one third of the waters being turned to blood (happening), two-thirds of humanity dying (hmmm). Things like that. Also, a great object falling from heaven and poising all the waters (definitely hasn't happened yet). The book of Revelation appears to be a prophecy that for the most part has yet to be fulfilled. Apparently, Jesus is supposed to come back again (a third time), according to the book of Revelation. Or is he? Well, maybe not. Please see the evidence that I give below, but be warned. The following content is a bit graphic (and yet, it's from the Bible). It is not for the faint of heart. It reveals an entity (and many think that it is Jesus) who is very mean and vengeful; (But the Book of Revelations does not say that it is Jesus). Makes one question whether it is really talking about the same Jesus who came with a message of LOVE. [Note: I reiterate: The book of Revelation does not say it is Jesus; so we must theorize that it is a different entity altogether; and that theorem based upon the context]. I shall quote in red, then put my comment in blue. Comment: Jesus is quoted as having said, "Neither do I condemn thee [judge you]; Go, and sin no more." Jesus was a non-judgmental person; So, right off the bat, we can see that we are dealing with a different entity. Furthermore, Jesus did not make war with the Romans. He taught that we should love our enemies. Jesus does not judge nor make war. Some will argue that that is because the Jesus who lived amongst us was teaching us how to live by example, and the next Jesus is one who will judge us and make war against his enemies. I admit that the entity is called "Faithful and True," but that merely means that the entity will come, no matter what. It is "faithful" in the sense that it will come. It is "true" in the sense that it is really something. We cannot stop it. It is coming. The words, "judge" and "make war" are most likely figurative, for if you keep reading, you will see that we are most likely dealing with the personification (which happens a lot in the Bible) of some natural phenomena. Comment: 'Flaming eyes' tells me that we are dealing with figurative language here. I believe that it is a fiery star that will come into our solar system and wreak havoc. It wouldn't be the first time that personification was used to describe natural, cosmological bodies or events in the development of our universe. We tend to call that "mythology" don't we? Comment: Dipped in blood tells me that the star will be red (or reddish). Kind of like this one that I saw in the southern night sky (July 5th, 2018). Comment: It is said that such a heavenly body would be trailing tons of space debris behind it. When it comes by our planet, it will "throw down" many asteroids/meteors/meteorites, which will appear as white lights in the sky (what we in the vernacular call, "Shooting Stars"). Comment: "Out of his mouth goeth a sharp sword" (clearly figurative) tells me that the star will cause much bloodshed, which is also figuratively illustrated by the treading of the 'winepress'. Wine is a common metaphor for blood. Comment: You can't write on a star, so this is clearly figurative as well, the meaning of which clearly is that the star (Lucifer) is haughty and wishes to claim our solar system for himself, having already taken 1/3rd of the hosts of heaven (one third of our planets now orbit Lucifer). Comment: An angel standing in the sun??? That's clearly figurative. Meaning: In the heat of the sun, all those who have died will lie as food for the birds. Comment: The destruction that will come because of the star (Lucifer) entering our solar system will not be a respecter of persons. Destruction will come upon all who have not "overcome." [I shall deal with "overcoming" and what it means to be an "overcomer" later]. Comment: This is the powers-that-be (ptb) that will try to stop or minimize the destruction that will be caused by the star (Lucifer). Comment: The New-World-Order, which will be led by the beast and the false prophet, will fail when the star (Lucifer?) comes. Comment: Everyone will die, except those who have "overcome". See the Final Prophecy below. What is the Final Prophecy? "The Event"
Revelation chapter 21 (the final chapter) tells of a "new earth". Yes! Read it... read the whole chapter! There will be a "new earth" and only the overcomers will be allowed on the new earth. I don't have time to re-invent the wheel, so to speak, because there has already been so much work done in this area: talking about the new earth. So, I'll just leave you with some links if you want to learn more about this subject. Zoroastrian prophecy for the last days. (I call your attention to the part where the asteroid hits the earth and the Earth will melt and all the unrighteous will be burned alive, but the righteous will survive). Allison Coe's website. "The Event"
First of all, what are the benefits of becoming an overcomer? Comment: the tree of life is a symbol of eternal life, for it was written that the partaker thereof would life forever in paradise (as opposed to forever in Sheol). Comment: The so-called 'second death' is a spiritual death, which means a separation from God in the lake of fire and brimstone (Rev. 21:8). The overcomer will not be separated from God. Comment: Manna is a like a flat bread or tortilla. Hidden manna is spiritual food; food for the soul. The white stone signifies innocence (free from guilt/sin). In ancient times, especially in the Roman Empire, a form of judging involved each judge being given a white stone and a black stone. The white stone represented innocence. The black stone represented guilt. The judges would put one stone in the bag as it was passed around. And the stones were counted to determine final judgment. <Source: Smith, "Suffragium"> Therefore, to be given a white stone means all your sins are forgiven and you have a clean slate. [This suggests that one must do something more than merely believe to be proclaimed innocent. One must overcome! And the scriptures tell us how to overcome. Keep reading. And he that overcometh, and keepeth my works unto the end, to him will I give power over the nations. Comment: no comment, except to say that this is the perfect lead-in to the next section about what it means to "overcome." But first, one more. Comment: The last chapter of the book of Revelation and last chapter of the Bible is dealing with a description of the new Earth. And those that overcome shall inherit the new Earth. As Revelation chapter 2 verse 26 indicates, to overcome means to keep the works of Jesus unto the end. Well, that leads us to another question: What are the works of Jesus? Answer: Did not Jesus heal the sick? Did he not feed the hungry? Did he not clothe the naked? Did he not cast out demons? Did he not forgive others? Those are the works that the overcomer does. "But I can't heal the sick! I'm not a doctor." That's true, but we can administer to the sick and we can give them love. Sometimes, love is all that is needed to heal the sick, because love will help them build up their immune systems. "But I can't cast out demons!" That may be true, but you can teach others how to cast out their own demons. See my exorcism page for more details on how to cast out demons. "But I just can't forgive that one person." Well, you have to. However, I must add here that many people misunderstand what it is to forgive. Forgiveness doesn't mean letting someone get away with murder. Forgiveness doesn't mean you have to let that person back into your life. Forgiveness doesn't mean that you let them keep taking advantage of you (or keep killing). Forgiveness doesn't mean being an idiot and let the offender keep hurting you. Forgiveness means you let it go and move on with your life. Sometimes moving on means leaving offenders behind. Forgiveness is for the forgiver, not for the forgiven. Can we forgive others? Yes, we can. Can we be overcomers? Yes, we can. Can we be overcomers by going to church every Sunday and singing praises to the Lord and praising God and giving money to a false prophet? No. The overcomer worships God by employing the principles learned in the parable of the sheep and the goats in Matthew chapter 25. Let me quote from Matthew 25: 31-46. Why is the Rapture teaching so dangerous? Because most Born-Again Christians that I hear from are leaning toward the Pre-Tribulation Rapture and they are not preparing for the things to come. Many receive warning dreams and pay no heed, because they believe that their belief in Jesus will save them from having to endure the disasters prophesied in their dreams. They take their dreams to mean that they should warn others and recruit them to Jesus, so they too can avoid the tribulations to come. But, anyone who does their research (as I have done) can see that the whole "rapture" doctrine (as taught by main-stream Christendom) is founded upon a very thin and very shaky foundation. It is a very "loose" interpretation of Paul's letter. He/she that hath ears to ear, let him/her hear. (So to speak). (0) Pray!!!! I believe in prayer. Pray to your higher power, whoever or whatever that may be. If you don't believe in prayer, skip this step. (1) Get away from the COASTs!!!!! A.S.A.P. I can't post the maps here without permission, but you can see the Lori Toye and Gordon Michael Scallion maps (by clicking on the links provided) that show the coasts will be under water. Biblically, the Book of Revelation says an asteroid/meteor is supposed to hit the waters (most likely the ocean). It is called "Wormwood." Think of the tsunami that will cause!!! (2) Have a get-away plan. Make a get-away plan. Plan routes, have extra gasoline stored, maybe put your "bug-out" bag in the trunk. - A small water filter. (Clean, potable water will be your first priority). - Some survival books, especially about edible plants (in your area) with color pictures and how to use those plants. - A pocket knife or multi-tool (I've got both). - A way to make fire; a lighter, flint and steel, a magnifying glass, matches (I've got all of the above, except matches). - As for water; get a filter (your main concern will be potable water). (5) Pray for help and guidance! (Unless you are an atheist, in which case, get away from the COAST and build a bunker and store it with all kinds of food storage). As mentioned above, I love to speculate. So, I shall. Rev. 11:3 The two witnesses: Who are they? Catholics probably believe they will be two bishops from their faith. Mormons probably believe they will be two missionaries from their church. Jehovah's Witnesses probably believe they will be two from their organization. Mainstream Protestant Christendom probably believes they will be two evangelicals from their sect. What do I believe? Honestly, I don't have a clue. I can't even speculate (and I love to speculate). It "kills" me that I do not have a clue on this one. The book of Revelation says that after the 1260 days of witnessing (prophesying), they will lie dead in the streets of Jerusalem for 3 and 1/2 days. There is a lengthy description of the two witnesses, so let's take a closer look at that, shall we? Comment: they won't be well-dressed, that's for sure. Nowadays, sackcloth is a khaki color. But, the sackcloth in the Bible was black. Clearly the color of the entities will black (or at least "clothed" mostly in black). Comment: two olive trees? The olive tree is usually a metaphor for the tribes of Israel. Candlesticks usually represented light & wisdom. (Source: Jerusalem Stone Treasures). So, it is often believed that they will be of the blood of Israel. Of course, all Mormons believe that they are adopted into the bloodline and heritage of Israel, so they still could be Mormon missionaries (in LDS theology, of course). I'm not saying that they will be Mormon missionaries. Far from it. In fact, they can't possibly be human. You shall see. Comment: Wow! Such power! That's super-human. In fact, I would venture that they are not human at all. What could spew fire and devour whole armies? Fire-breathing Androids? Black, super-hot meteorites? Comment: O.K. Human?-NOT! Android?-NOT! Meteorites are still in. Comment: Finished their testimony = stop wreaking havoc; nearly burned out. The bottomless pit is what the ancients called 'outer space'. The "beast" from outer space is Apollyon (the destroyer); also called the dragon, which spews water out of its "mouth" (causing much rain on the planet). Ah, ha! The "beast" will cause it to rain and the two "witnesses" will become completely burned out by the rain. Comment: Jesus was crucified at Jerusalem. So, two meteors will hit Jerusalem. It's looking like the two witnesses are meteorites. Comment: How can the whole world see? On television, of course! Comment: Wow! It seems that the whole Earth rejoiced. Comment: Wait! What?!!!! The meteorites come back to life? How? See???! How am I to speculate on something like that? How do meteorites come back to life? Comment on the whole thing: We have to take John's writings with a grain of salt. He was reporting what he saw in vision with the mentality of a person in 90A.D. If John saw technology which was beyond his understanding, he may have thought it to be of God, when it actually wasn't. It was probably from E.T. I'm guessing two robots will be placed in Jerusalem by ET's. (and I'm back to androids). What else could they be? Any ideas? Contact me. Rev. 12:6 The woman: Who is she? This one I can speculate on. Most Biblical scholars would agree that the woman represents God's people. Over and over again the scriptures refer to God's people as either harlots (unfaithful people) or brides (faithful people). The only question is this: Is the woman the old testament definition (the 12 tribes of Israel) or the new testament definition (the Christians). Since most of the prophecies are intended for the middle East, I'm going with the old testament definition: the descendants of Israel. Suppose we are dealing with the same 3 and 1/2 year time period. Suppose war breaks out where Islamic forces rush into Jerusalem (It could happen! ), [Rev 11:2 says that the non-Israelites will attack and tread all over the city of Jerusalem for 42 months (3 and 1/2 years)]. and suppose that many are forced from their homes and have to hide in the wilderness during that war (that would be the Israelites hiding). And suppose ET, which don't want us using nuclear weapons, step in and place two of their robots in Jerusalem to keep any nuclear weapons from being used. And suppose at the end of the war, the two witnesses are "killed" (destroyed) by a force greater than human or ET (i.e., Abaddon, the Destroyer, the star (Lucifer) and his army of white (asteroids). The ETs repair their robots secretly (at night) and they just appear to lay in the street for 3 and 1/2 days. Then, the ETs remotely click a switch, turn their robots on, and beam them up to their ship. Or another possibility is that the U.S. sends in 2 of its super-soldiers from its super secret super-soldier program, which everyone knows about because its in the movies. Only time will tell. Right? It's interesting to speculate, though.